While portable and stationed filters operate the same, they can serve different needs for your facility and your business. When you choose the right option, you will be maximizing your return on investment, saving time, and extending the life of your equipment. If your facility has multiple machines that all use the same type of oil, it may be cheaper to buy one cart that can service them all. 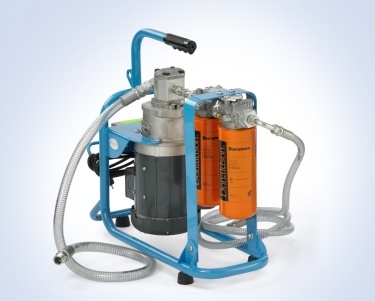 If your company is new to filtration systems, a mobile filter cart can allow employees to see the benefits of precision lubrication firsthand. This way, the ROI of filtration can be proven internally before committing to more units. Mobile filter carts, such as ones from Parker and Donaldson Process Filtration, are lightweight and easy to move. This makes them ideal for equipment that isn’t always kept in the same spot. With filtration units remain in the same place, this helps ensure consistent cleanliness. This is because there is no downtime for contaminants to accumulate when your filter runs continuously. This makes a difference over time, as high contamination levels can cause damage to sensitive machinery. Additionally, a lower-capacity panel unit can cost less than a more powerful mobile cart system. When you combine this with the savings from continuous filtration, a panel unit is often the best choice for your budget over time. For additional information on which filtration system will best suit your company’s operations, contact one of our experts toll-free at (888) 974-6171. This entry was posted in Uncategorized on November 15, 2017 by 11688097.